How a change in tastes and preferences affects market price and market quantity - FreeEconHelp.com, Learning Economics... Solved! This post asks the question of what happens in the market for a good or service when the tastes or preferences for the good or service change. This question fits into our discussion about the determinants of demand. One of the determinants of demand is the current state of tastes and preferences for the good or service. In this example, we will be focusing on the services for Romanian translation. This may seem like an obscure topic, and it is to most people which will limit our demand for the service. Because of our tastes or preferences for this specific service, we will have a low demand for it, especially compared to the demand for Spanish or Chinese translation services. But imagine if the U.S. or Europe signed a new free trade agreement, or began spending billions of dollars in business opportunities in Romania. This would potentially change our tastes and preferences for this service, and likely shift the demand curve right/up. You can see that when we increase demand (shift the demand curve right/up) it results in an increase of both equilibrium price AND quantity. This is easily visible by looking at the red dots marked 1 and 2. Initially we were at equilibrium point 1 in the market for Romanian translation services, but after the news of increased business opportunities we move to equilibrium point 2. This means that prices for these services have gone up, as well as the total quantity of these services that are now used. Here are some other examples you can consider when looking at how a change in tastes and preferences affect the demand curve and equilibrium price and quantity. Imagine someone really popular (perhaps Tom Brady, or Cristiano Ronaldo) endorses a new type of deodorant. We all objectively know that a celebrity endorsement has no affect on the effectiveness of a good or service but we can't help but think we will be a little more popular or perhaps their may be some other hidden quality about the product that we are not aware of. This helps boost demand for a product--which is why companies engage in this type of advertising. Funny but true example, Kale was never a popular food choice in America until after 2000. Before then its most common purpose was to act as a border for food at buffets! Now Kale is extremely popular as a food choice and we have seen prices and consumption rise significantly. This is a classic example of tastes and preferences affecting demand for a product (we learn something is healthy or good for us). 1) A positive change in tastes or preferences increases demand (shifts it right/up). A negative change in tastes and preferences will decrease demand (shift it left/down). 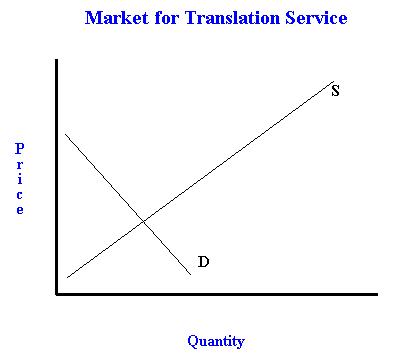 2) If tastes and preferences improve and supply stays that same, then both price and quantity go up. 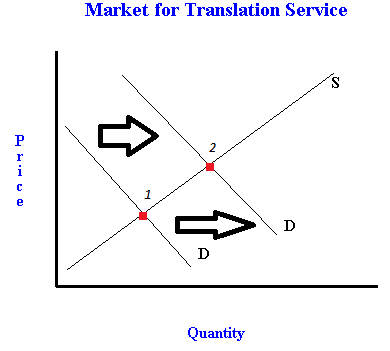 If tastes and preferences sour (make demand decrease) then we would expect market price and market quantity to decrease. Also, the video below goes through examples and the creation of multiple graphs if you need help developing your intuitive understanding of how tastes and preferences can affect the demand curve and the resulting market price and market quantity.